Herb Alpert. Artist. | Painting. Sculpture. In ‘Herb Alpert: A Visual Melody,’ the renowned trumpeter shows a passion that straddles art and music. History tells us that the trumpet is a call to action. Legendary player Herb Alpert is making beautiful music to draw attention to his other creative outlet: fine art. Herb Alpert: A Visual Melody opens Feb. 17 at Heather James Fine Art in Palm Desert. The show consists of Alpert’s artworks — from mixed-media abstractions to large and small bronze sculptures — which, like his music, leave an indelible imprint on the heart and mind. This side of Alpert’s artistic palette might not have emerged in quite the way it did had he not picked up the trumpet when he was 8. Alpert would go on to form Herb Alpert & the Tijuana Brass in 1962, launch five No. 1 hits and nab nine Grammy Awards, the latest from his 2014 album “Steppin’ Out.” He has sold more than 72 million albums. The group even outsold the Beatles two to one at one time. Traveling the world, the Tijuana Brass occasionally performed in museums. Alpert always seemed to gravitate toward modern art. He began by “moving paint around the canvas like a monkey.” Like many artists, he experienced a learning curve. Eventually a gallery owner spotted his work and wanted to show it. “I was surprised by that. I was just trying to do it for my own pleasure,” he says. Nearly a half-century later, Alpert’s work is in high demand, shown in galleries around the world. The exhibition at Heather James Fine Art, curated by Chip Tom, stands out. The 2017 work Black Horizon, made with acrylics and coffee on canvas, illuminates large, dramatic brushstrokes. Sculptures on display, particularly the larger pieces in the Black Spirit Totems series — are a wonder. Warrior, from 2011, is 13 feet tall, with a rich obsidian hue and upward flow of energy that suggests a heroic journey. At nearly 17 feet tall, Arrowhead is a bronze sculpture that evokes reflection. It is arguably among Alpert’s finest works, commanding attention with its prominent arrowhead up top. From base to tip, the work’s fluidity and intensity suggest life passages as traditionally depicted on totem poles. And challenging to put into words. Is one artistic form of expression easier than the other? “Good question,” Alpert says, with a chuckle. “Music comes naturally to me, because I have been doing it for so long. I am basically a jazz musician, so whatever comes out when I am playing is what comes out. Good or bad. That’s it. I try not to get too intellectual. 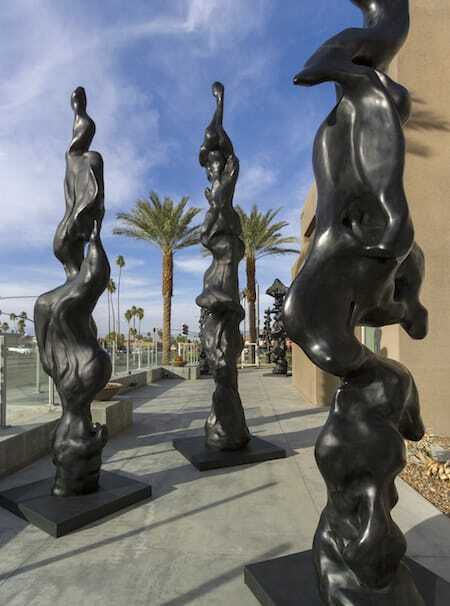 Herb Alpert’s statues adorn the exterior of Heather James Fine Art in Palm Desert. He says he works on a painting or sculpture until it makes him feel good. “Herb Alpert: A Visual Melody” will be on display Feb. 17 through May 1 at Heather James Fine Art, 45188 Portola Ave., Palm Desert. For more information, visit heatherjames.com. This entry was posted in Art News on February 6, 2018 by admin. Music fans are most aware of Herb Alpert for his engaging, Grammy-winning trumpet work, his co-founding of A & M Records and his charitable endeavors in the music business. What many people may not be aware of, though, is that Alpert’s creative talents also lend themselves to the visual art world. Visitors to Chicago’s Field Museum will get a view of the musician’s other artistic capabilities. This entry was posted in Art News on October 1, 2015 by admin. Musician Herb Alpert just delivered his love letter to the city of Chicago. This entry was posted in Art News on September 17, 2015 by admin. ACA Galleries is pleased to announce its forthcoming exhibition, Herb Alpert and Richard Mayhew: HARMONIC RHYTHMS, on view February 19 through April 4, 2015. Primarily known for his music, Herb Alpert has gained a reputation as an accomplished visual artist. At 91, Richard Mayhew is acknowledged as one of America’s premier landscape painters and colorists. Both artists, informed intensely by music, use improvisation in their work. This entry was posted in Art News on August 18, 2015 by admin. 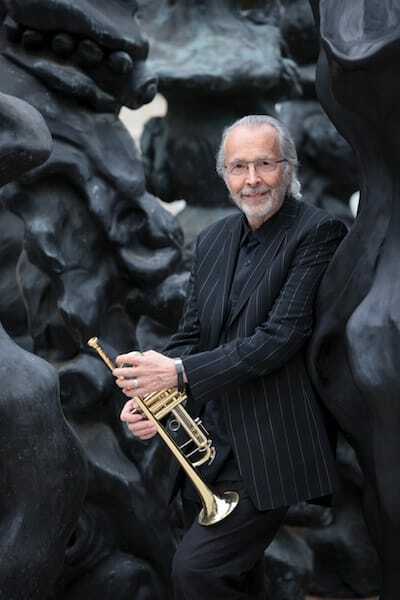 Jazz musician Herb Alpert is bringing a different kind of art to New York City. Three giant totem sculptures created by Alpert will be on display at Dante Park, across from Manhattan’s Lincoln Center. They were unveiled Thursday and will be in place until April 15. This entry was posted in Art News on January 23, 2015 by admin. Three of Alpert’s tall black bronze totems, Spirit Totems, will be on exhibit in Dante Park at West 64th Street, between Columbus Avenue and Broadway, on January 25 – April 15, 2014. “I spent time looking all over New York City for the ideal place for the Spirit Totems. I fell in love with Dante Park because it is an open thoroughfare where the sculptures are visible with a connection to jazz at Lincoln Center,” says Herb Alpert. The large totems are being transported by truck to Manhattan from Malibu, California, for the exhibition. Grace 2006 – 15 feet 8 inches, Freedom 2011 – 16 feet 9 inches, and Gratitude 2009 – 17 feet 2 inches. This entry was posted in Art News on January 13, 2015 by admin. Herb Alpert has worn many hats throughout his long career in the music business: songwriter, trumpeter, bandleader, record label founder and producer. He won his first Grammy Award in 1965 — and he won his seventh last Sunday, for his latest album, called Steppin’ Out. Yet in recent years, Alpert has also become known as a visual artist — his work as a sculptor has been featured in art shows throughout the country, and is currently on display in New York — and, as a philanthropist. The Herb Alpert Foundation virtually saved the Harlem School of the Arts from shutting down in 2012, and every year the Herb Alpert Awards give five mid-career artists $75,000. This entry was posted in Art News on December 25, 2014 by admin. ACA Galleries is pleased to announce Totems & Deities: The Sculpture of Herb Alpert and Anita Huffington, an exhibition of two artists who found early success in music and dance. The exhibition pairs Alpert’s abstract bronze sculptures, which can be compared to the freedom and spontaneity of his improvisational work as a jazz musician, with Huffington’s figurative bronze work inspired by the fluidity and form of her experience as a modern dancer. 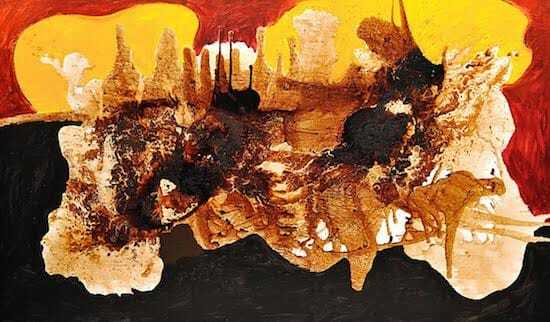 This entry was posted in Art News on February 19, 2014 by admin. 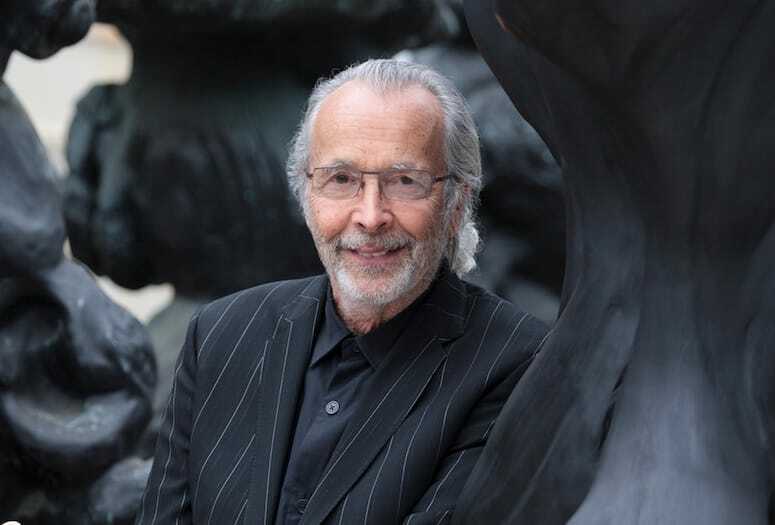 Grammy award-winning musician Herb Alpert talks about his work as a sculptor and painter, and as founder of The Herb Alpert Foundation that underwrites arts, education and music programs. 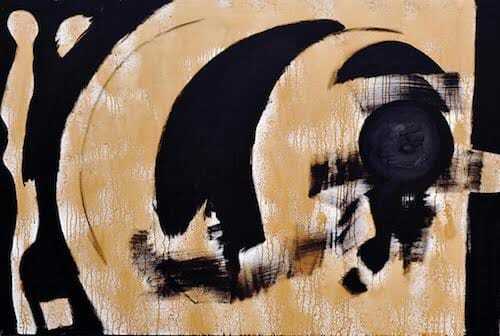 This entry was posted in Art News on February 6, 2014 by admin. MSNBC’s Joe Scarborough shares his interview with Herb Alpert and the music he’s produced over the years. This entry was posted in Art News on January 27, 2014 by admin.